Stanley’s not sure when his problems started. Either when his mum died, or when his brother went off to fight in the war. All he knows is that now Dad acts like he’s completely invisible – unless he’s going mad at him, that is. 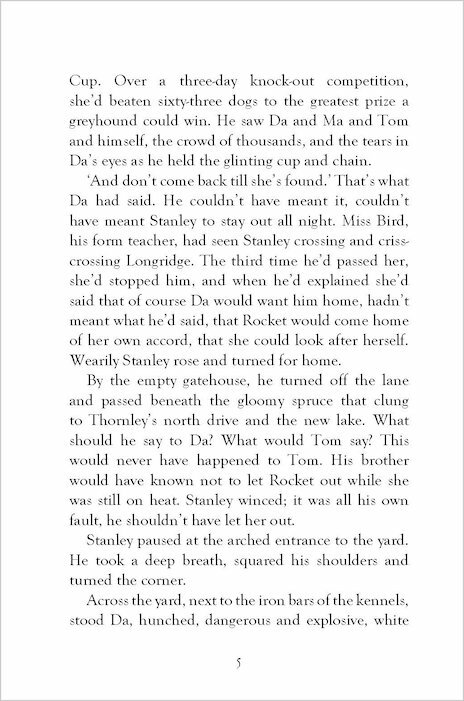 The only friend Stanley can turn to is his dog, Rocket. And when things at home get even worse, Stanley enlists in the army as a dog handler. 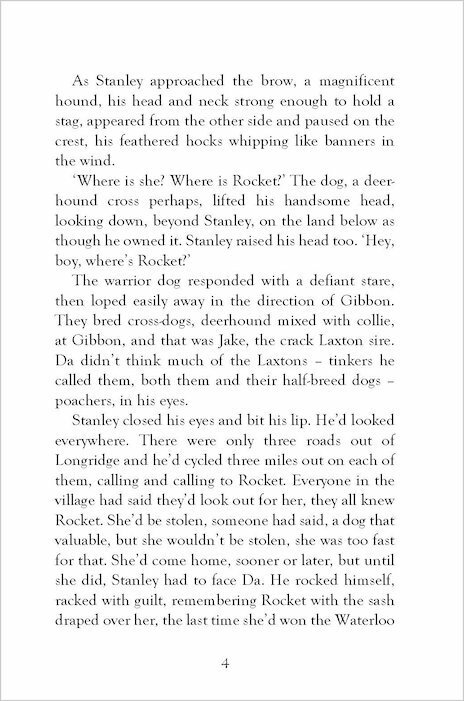 As Stanley faces the horrors of war, his dog’s loyalty is the only thing he can rely on. Will he survive the guns and make up with his father again? Soldier Dog was a great book! 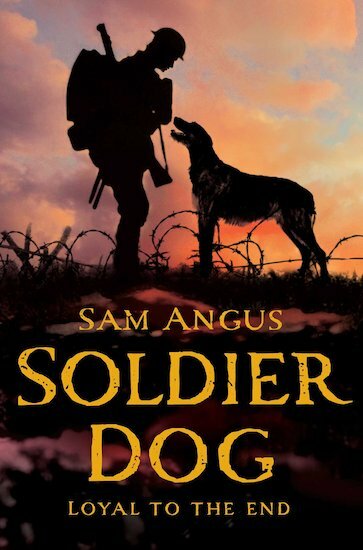 I was dying to read it as soon as I saw the cover-the cover is brilliant, my first thought was I love the sunset in the background and the silhouette of the soldier and the dog and as it was painted with dark colours I could tell this book would be a sad book! This book is about a soldier called Stanley who joined the army when things got a bit to much at home between him and his dad. 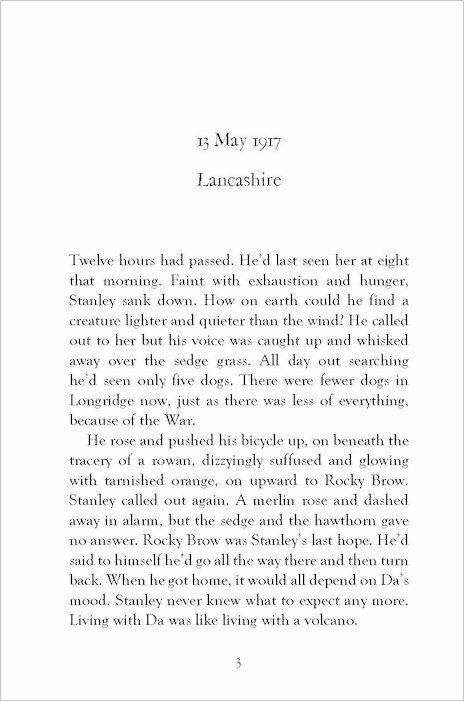 Stanley thinks that the best way to leave all of this behind him is to lie about his age and join the army.He then gets a bit of training and he get sent to the messenger dog service where he meets a dog called Bones who is a great dane and they become best friends. I loved the fact that the story involves World War 1, one of my favourite time periods and that the book was based on a true story. The book is also written in a way that makes it feel like you are there. The author paints a vivid picture of life in the trenches and also sets your heart racing as you are worrying about Stanley, will he survive World War One and be reunited with his family? Well you will have to read the book to find out! Anyone who read and liked War Horse or anyone that likes war and animals for that matter will love this book, Sam Angus definitely gives Michael Morpurgo a run for his money! Thats the reason why i rate this book 9.5/10. A truly brilliant book set in WW1 that includes alot of friendship, courage, hope and sadness!